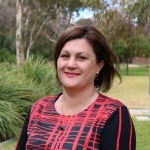 Cindy Cassidy is the Chief Executive Officer of Farmlink Research, a not for profit agricultural research and extension organisation in southern NSW owned by growers. Cindy grew up on a sheep and grain farm at Ariah Park and has worked in organisations such as CSIRO, the Australian Barley Board, AWB Ltd and most recently Wheat Quality Australia. These progressively more senior roles have all had a technical focus – delivering innovation and improvement to the Australian grains industry. She has a Bachelor of Science from Macquarie University, Sydney and a Masters of Agriculture from Sydney University.